You’re not, strictly speaking, ‘camping’ at a Feather Down Farm. You’re staying in ‘tented accommodation’. It’s a small distinction, but it acts as a good indication of what you can expect at this mini-chain of boutique campsites. This is Luxury Camping in roomy three-bedroom pre-erected tents, perfect for the ‘not sure about this camping lark’ section of the community, who might baulk at the idea of trying to put up a tent in the rain. Or for families looking for a good-value alternative to renting a holiday home. Or, indeed, for just about anyone, really – these tented palaces are cool, comfortable and fun. Feather Down Farms recruit farmers with excess, redundant land, then they transport and erect their high-spec, custom-designed tents at the farm, organise the marketing and reservations, and let the farmers take care of the day-to-day management. The Feather Down team and the farmers share the proceeds appropriately; and everyone’s happy. 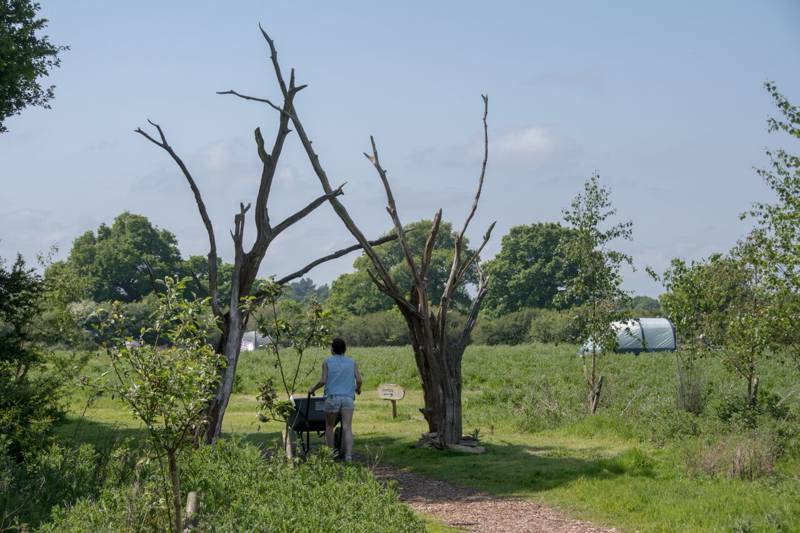 Active families should head down to stay at this organic farm, which nestles between the North and South Downs, as on- or off-road enthusiasts can stow their bikes on the car to get keen cyclist Sarah’s tips on tackling the 55-mile Downs Link. The rustic playground and play pitch laid out in front of the tents are the work of the owner Tim, who has made the scrum-half position in Cranleigh’s first team for a record-breaking 22 years. He’ll also show you our fantastic bluebell woods for den-building, stream-damming and deer-, butterfly- and woodpecker-spotting. 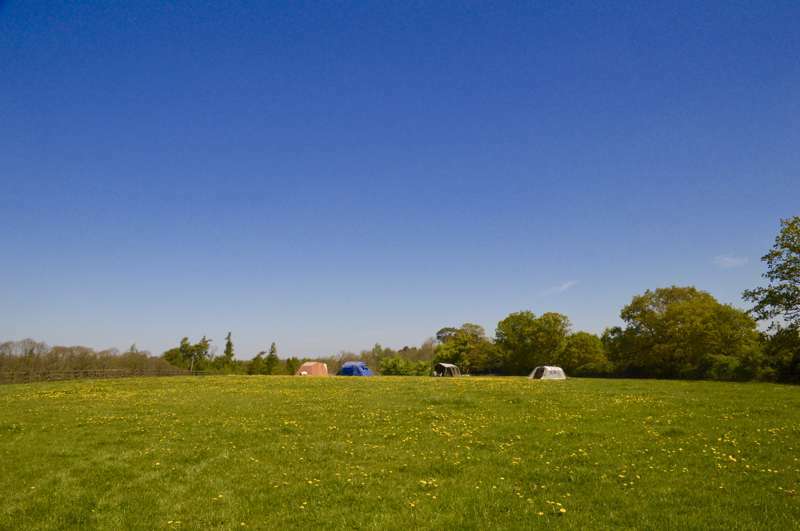 Canfields is also an ideal base for group outings to enjoy horse racing at Glorious Goodwood, the opera at Glyndebourne, polo at nearby Hurstwood and the wonderful summer music concerts at Petworth – and not forgetting the five golf courses within five miles of the farm. Catching your breath at the end of the day, you can slow cook and barbecue the wonderful organic beef and veal, whilst you look out over the commanding views of the South Downs and the sea beyond. Canfields Farm was awarded ‘Most Improved Farm’ last year. Come and see why – you deserve it!